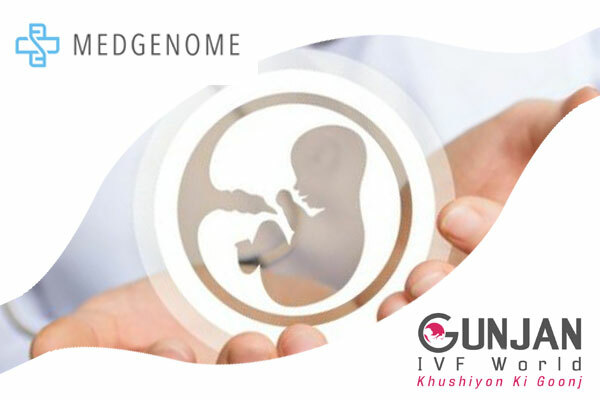 MedGenome and Gunjan IVF World, a IVF provider based in Ghaziabad, brought together the experts in the field of obstetrics, gynecology and assisted reproduction to discuss the benefits of Pre-implantation Genetic Screening/Diagnosis (PGS/D) in IVF. The Continuing Medical Education (CME) session featured a talk by Dr Sam Balu, Manager Scientific Affairs, MedGenome. Both PGS and PGD can be carried out only in case of IVF pregnancies. Pre-implantation Genetic Screening helps improve the overall implantation rate and IVF outcomes for the expectant couples, by screening for changes in chromosome number in the IVF embryos. Using Pre-implantation Genetic Screening couples can improve their chances of getting pregnant from 40 per cent to 70 per cent It greatly reduces the chances of miscarriage and other complications (such as a baby being born with trisomy 21, which results in Downs Syndrome). The Pre-implantation Genetic Diagnosis testing is used to identify specific single gene disorders (such as Beta Thalassemia, Polycystic Kidney Disease etc), caused by inheritance of disease causing mutations from either one or both parents. This is especially useful for parents / families with a history of such disorders, to have children who are unaffected by the same.